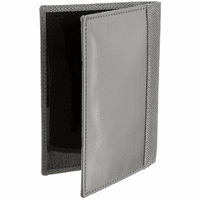 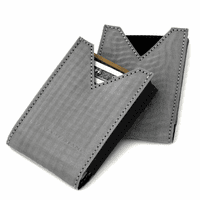 This credit card wallet features two ways to stay organized without carrying a bulky wallet! 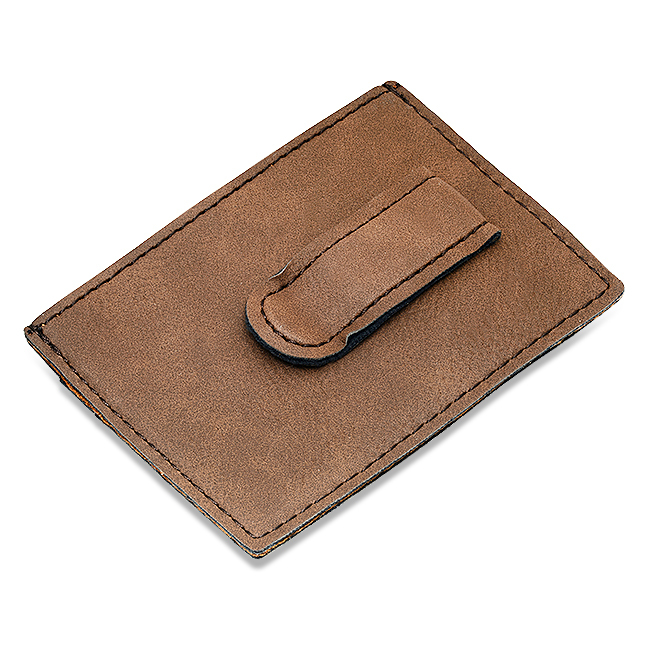 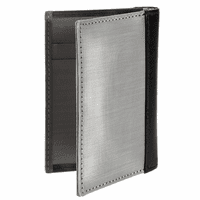 It's faux brown leather, with two staggered slots for credit cards, business cards, and ID, and a tension grip money clip that organizes and secures your cash. 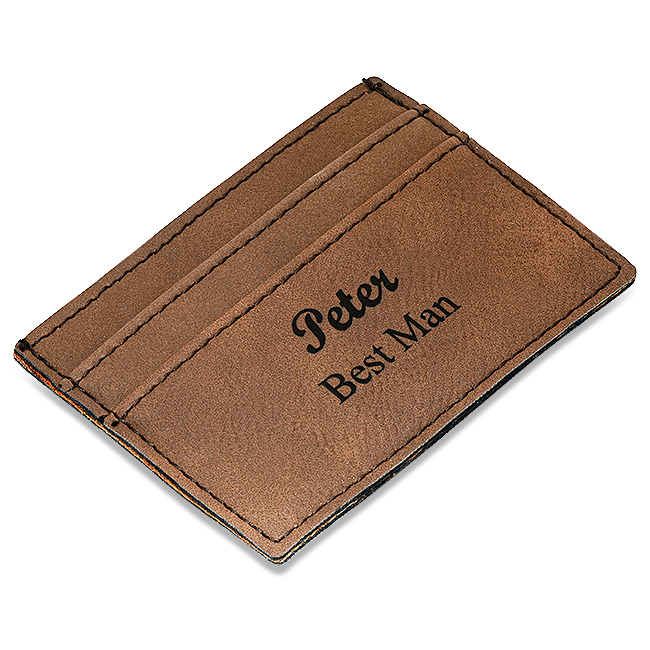 Add free personalization, heat stamped into the front, for a special gift for your favorite guy, for your groomsmen or for corporate gifts. 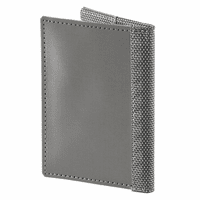 The wallet comes in a handsome gift box. Dimensions: 2 3/4" x 4"